In recent years, several medical scientific societies have set up committees formed by young physicians. Young Pancreatologist Platform in Europe (YOUPPIE), Young Talent Group (UEG), European Society of Young Oncologists (YO) and more recently ESGE Young Endoscopists (EYE) are european examples of these groups. These committees of trainees and specialists in the first years after accreditation form important networks and their work has begun to generate initiatives aimed at strengthening the careers of young physicians, promote post-graduate meetings and opportunities to set up multicentric research projects. 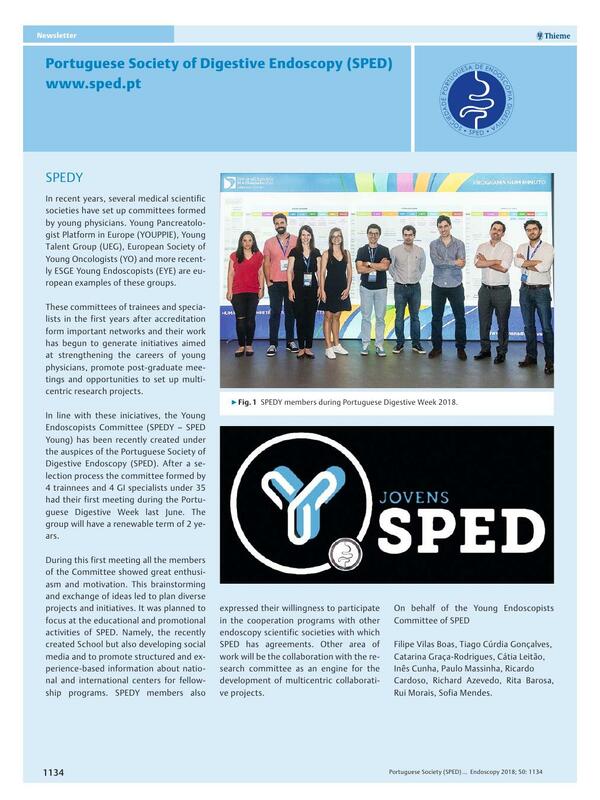 In line with these iniciatives, the Young Endoscopists Committee (SPEDY – SPED Young) has been recently created under the auspices of the Portuguese Society of Digestive Endoscopy (SPED). 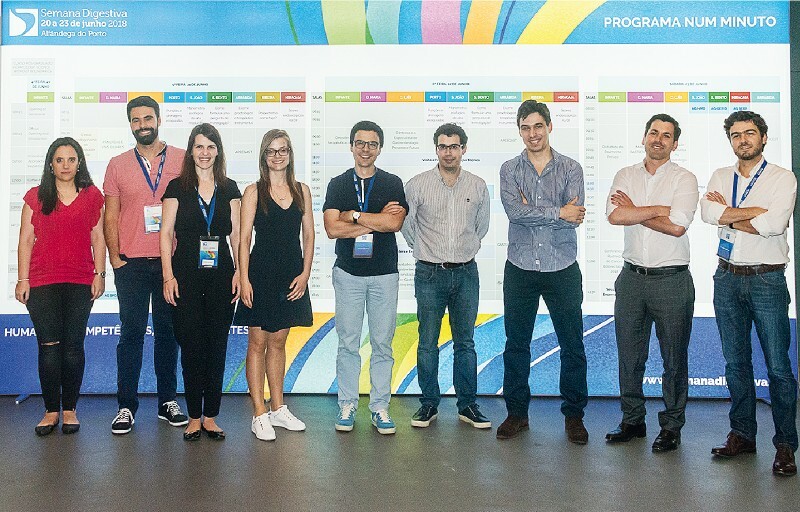 After a selection process the committee formed by 4 trainnees and 4 GI specialists under 35 had their first meeting during the Portuguese Digestive Week last June. The group will have a renewable term of 2 years. During this first meeting all the members of the Committee showed great enthusiasm and motivation. This brainstorming and exchange of ideas led to plan diverse projects and initiatives. It was planned to focus at the educational and promotional activities of SPED. Namely, the recently created School but also developing social media and to promote structured and experience-based information about national and international centers for fellowship programs. SPEDY members also expressed their willingness to participate in the cooperation programs with other endoscopy scientific societies with which SPED has agreements. Other area of work will be the collaboration with the research committee as an engine for the development of multicentric collaborative projects. Filipe Vilas Boas, Tiago Cúrdia Gonçalves, Catarina Graça-Rodrigues, Cátia Leitão, Inês Cunha, Paulo Massinha, Ricardo Cardoso, Richard Azevedo, Rita Barosa, Rui Morais, Sofia Mendes. Fig. 1 SPEDY members during Portuguese Digestive Week 2018.